Reishi with 50% polysaccharides and guaranteed 20% minimum content of β-1.3/1.6 D-glucans. Compared to Reishi with 30% polysaccharides, it’s more appropriate for more acute conditions. More info. Tested in the German Agrolab. Reishi with 50% polysaccharides and 20% β-1.3/1.6 D-glucans is more effective in boosting your immunity. Therefore it’s more suitable for more acute conditions. Reishi with 30% polysaccharides and containing a wide range of active substances is better in cases of chronic conditions. Po Reishi se mi spí mnohem lépe. I have been struggling with skin problems for a very long time. Since my childhood, I have been troubled by atopic eczema, which also had a profound effect on my psyche. I was struggling with this problem for such a long time, and I was trying to find the best, natural solution. Then I came across the Reishi medicinal mushroom and finally there was a major change. I can only recommend it. When the spring comes, I suffer from allergies. One of their unpleasant symptoms is an irritating cough. Reishi helped me a lot. I will certainly use it again in the future. I use Reishi as a supplement to oncological treatment. I can confirm that I can tolerate the treatment better with this product. I have been very tired lately. I started feeling tired after a long illness and I was unable to get over it in any way. 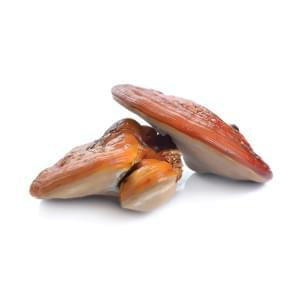 My friend advised Reishi, because it solved her own troubles with fatigue. At first I didn’t really believe it would be effective, but in the end I got rid of my fatigue due to taking the capsules regularly. I can recommend Reishi from my own experience. I had problems with insomnia and the mushroom Reishi helped me solve it. Thank you. After long-lasting problems with urinary tract infections, which I had to solve with antibiotics, I had problems with a weakened immune system. The weakened immune system resulted in greater susceptibility to all diseases. As I work in a kindergarten, I kept catching a cold or cough from the kids. I decided to strengthen my immune system with the Reishi mushroom from MycoMedica. The effects of the mushroom were noticeable quite quickly and since I’ve been using this medicinal mushroom, I’m not so susceptible to diseases anymore. I’m really satisfied with Reishi. I am taking Reishi after radiotherapy on my lungs and it has helped me a lot. I recommend it. I had a relatively long and complicated childbirth, after which I felt very tired. I was looking for a natural remedy, which would strengthen my body in order to get back to normal everyday life as soon as possible. Thanks to Reishi, I feel much better and I have a lot more energy. I ordered Reishi to strengthen my immune system. I have to confirm that it really works. I’m ordering another package. My daughter has a problem with eczema, we have already tried many products, but they don’t have any effect. I decided to order Reishi. I already started to see visible results after one package, so we continue using it and we hope the effects will continue to be encouraging.